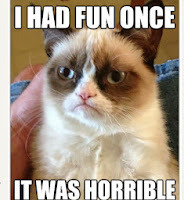 From Goodreads ~ Internet sensation Grumpy Cat's epic feline frown has inspired legions of devoted fans. Celebrating the grouch in everyone, the Grumpy Cat book teaches the fine art of grumpiness and includes enough bad attitude to cast a dark cloud over the whole world. 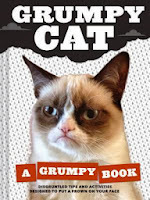 Featuring brand new as well as classic photos, and including grump-inspiring activities and games, Grumpy Cat delivers unmatched, hilarious grumpiness that puts any bad mood in perspective. I love cats but I don't get the whole Grumpy Cat phenomenon ... so that's why I checked out this book. 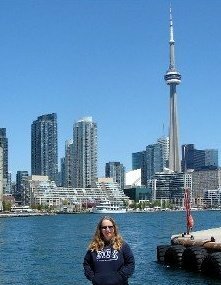 Grumpy Cat (born April 4, 2012), real name Tardar Sauce, is a female cat and Internet celebrity known for her grumpy facial expression. Her owner Tabatha Bundesen says that her permanently grumpy-looking face is due to feline dwarfism. 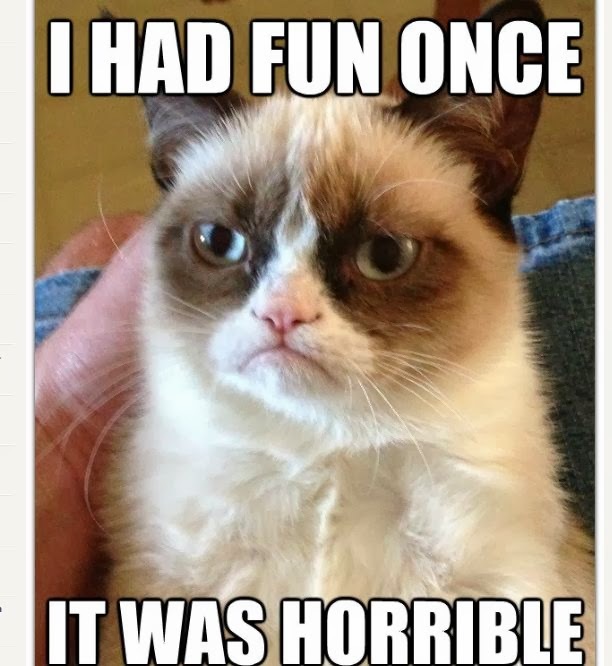 Grumpy Cat's popularity originated from a picture posted to the social news website Reddit by Bundesen's brother Bryan on September 22, 2012. It was made into an image macro with grumpy captions. This book is a hodgepodge all about Grumpy Cat. There are mini posters, advice on how to get and stay grumpy, pictures of Grumpy Cat's grumpy moments, along with games like connect the dots, crossword puzzles, etc. It's a quick read and I'm glad I borrowed it from the library rather than bought it. I see this as a novelty item that probably won't have a lot of staying power. Are you into Grumpy Cat? Who doesn't love the grumpy cat?